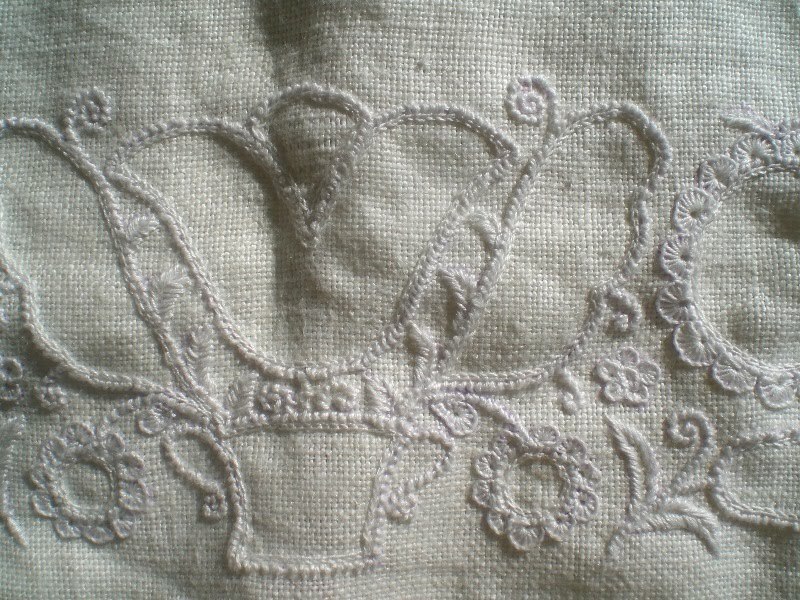 Mary Corbet was absolutely correct when had referred to this book as the definitive guide to learning Schwalm embroidery. I’ve written about Luzine Happel’s book a while ago. It is really so easy to follow the step-by-step instructions, even for a beginner like me! I have to confess that what attracted me was to see all the filling patterns the book has. 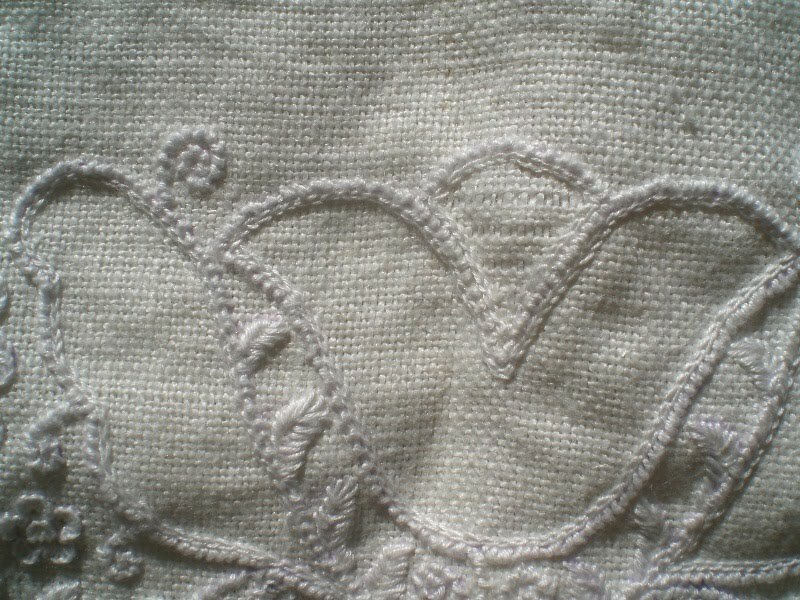 Here in Portugal we have lots of embroideries with those filling patterns but I’ve never found a book or even a magazine that really teaches how to do. Mary Corbet estava completamente certa quando referiu este livro como o guia definitivo para aprender o bordado Schwalm. Há algum tempo escrevi sobre o livro da Luzine Happel. É realmente fácil seguir as instruções passo a passo, mesmo para uma principiante como eu!. Confesso que o que me atraiu foi a quantidade de padrões de pontos de fundo e de crivos que o livro tem. Nós, aqui em Portugal, temos imensos imensos bordados com estes pontos, mas nunca encontrei um livro ou revista que ensine como fazê-los. I’ve made some progress in my sampler. 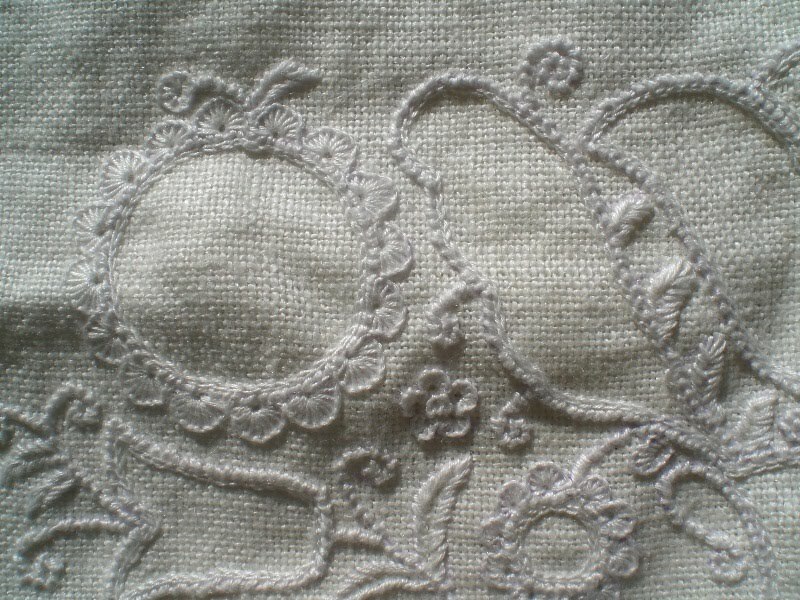 I’m not embroidering the complete pattern and not using the suitable linen. Fiz algum progresso no bordado, que não estou a fazer completo e não no linho apropriado. I’m not quite happy with my leaves. Não estou muito satisfeita com as folhas. 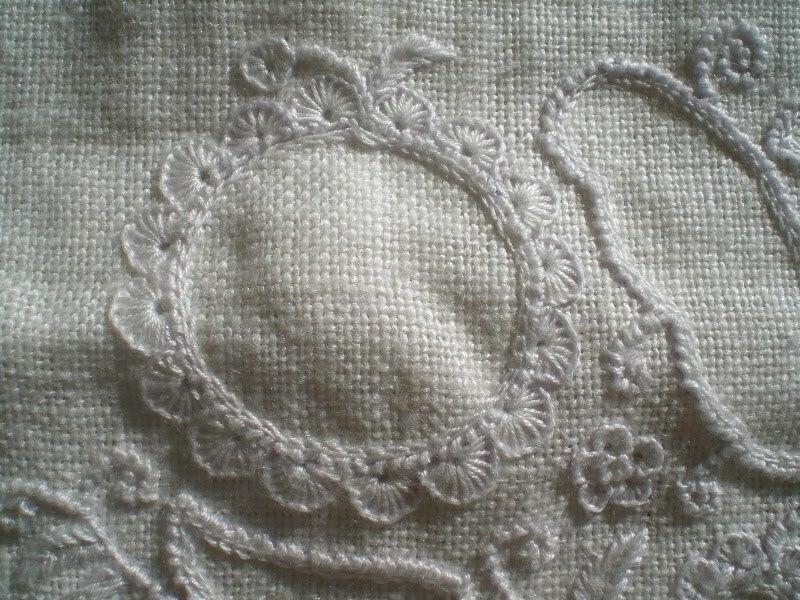 This entry was posted in bordado, embroidery, livros / books, Schwalmwork and tagged books, bordados, embroidery, livros, Schwalm Whitework by meri. Bookmark the permalink. I'd be pretty happy with it if I were you, Méri – you're very very clever! I absolutely love the white on white. It is splendid. I am back to blogging but have done no handwork myself. I have been so busy training for my marathon. I hope you had a most wonderful summer. So far it looks perfect to me. I love white on white, so beautiful! Oh My GOODNESS!! !I can't believe how far you have progressed, Meri! It is Beautiful! Absolutely beautiful!I still haven't finished the scallops. :-(This week?We'll see!Thanks for the motivation! It looks so beautifull!! keep up the good work! Meri, I saw this book on Mary's site and wanted it for myself. 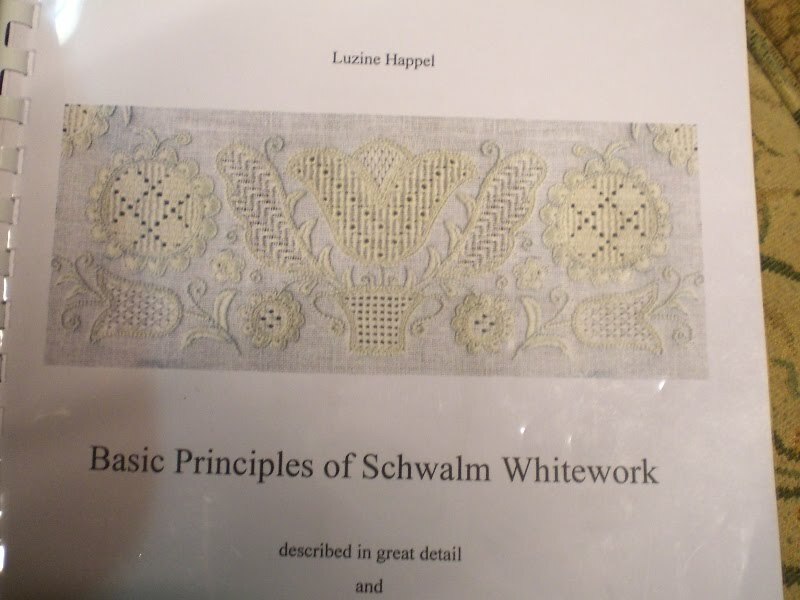 I really enjoy seeing your whitework pictures…they're beautiful!